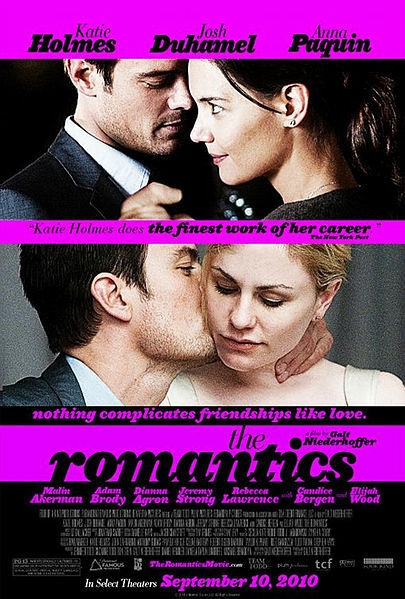 I watched The Romantics last week when Jason was out of town and LOVED it. The movie came out in 2010, but I had never heard of it even though it has an amazing cast: Katie Holmes, Josh Duhamel, Adam Brody, Anna Paquin, Dianna Agron, Candice Bergen, Elijah Wood and my fave, Malin Akerman. Plot: Seven close friends reunite for the wedding of two of their friends. Problems arise because the bride and the maid of honor have had a long rivalry over the groom. Although some parts are a little slow, I thought it was great. One to watch with the girls or like in my case, when your guy is away. Great music too.